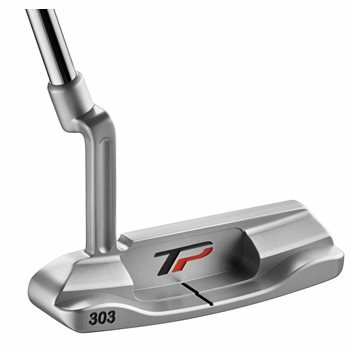 The TaylorMade TP Collection Soto putters are designed with a clean and precise Milled 303 stainless steel head with a tour stain finish. The Milled 360 Roll Insert allows for better ball-gripping which results in improved roll, sound and feel. The TP Collection putters also feature a strategically positioned high contrast sightline that makes alignment easier before you make your stroke. The Soto has short and rounded contours with a slight toe hang, full shaft offset and two 10g sole weights for a perfect fit for players who release the the toe through impact. what kind of grip comes with this putter?